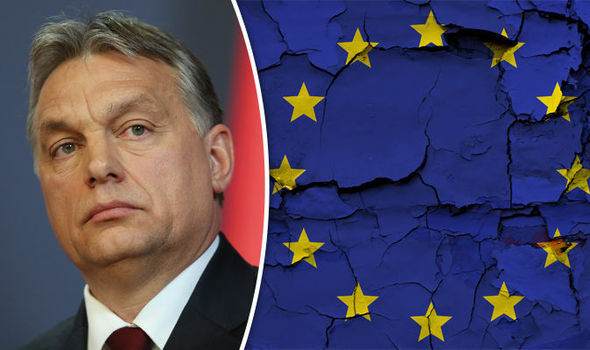 Today (Wednesday), the Council of the European Union voted – for the first time ever in its history – to censure Hungary for a “systematic breach of European values,” by a two-thirds majority. On Tuesday, Hungarian Prime Minister Viktor Orbán was at the European Parliament in Strasbourg to take part in the debates on the Sargentini report – named after its primary editor, Judith Sargentini, who is an MEP for the GreenLeft – denouncing the alleged decline of the “rule of law” in Hungary. The report asked Parliament to activate Article 7 of the European Union’s treaty in regards to Hungary, which aims to suspend a number of Hungary’s rights, such as the right to vote in the EU’s institutions. The following is the translation of the speech provided by the Hungarian government. A video of the speech including an English translation is here . Honorable President, honorable members, I know that you have already formed your opinions. I know that the majority of you will vote in favor of the report. I also know that my contribution now will not sway your opinions. Yet still I have come here – because you are not about to denounce a government, but a country and a people. You will denounce that Hungary which has been a member of the family of Europe’s Christian peoples for a thousand years; the Hungary which has contributed to the history of our great continent of Europe with its work and – when needed – with its blood. You will denounce that Hungary which rose and took up arms against the world’s largest army, against the Soviets, which made the highest sacrifice for freedom and democracy, and – when it was needed – opened its borders to its East German brothers and sisters in distress. Hungary has fought for its freedom and democracy. I stand here now and I see that Hungary is being arraigned by people who inherited democracy, not needing to assume any personal risk for the pursuit of freedom. And now these people want to denounce the Hungarian freedom-fighters of the anti-Communist, democratic resistance. Honorable members, I stand here now and defend my homeland, because to Hungarians freedom, democracy, independence, and Europe are matters of honor. This is why I say that the report before you is an affront to the honor of Hungary and the Hungarian people. Hungary’s decisions are made by the voters in parliamentary elections. What you are claiming is no less than saying that the Hungarian people are not sufficiently capable of being trusted to judge what is in their own interests. You think that you know the needs of the Hungarian people better than the Hungarian people themselves. Therefore I must say to you that this report does not show respect for the Hungarian people. This report applies double standards, it is an abuse of power, and it oversteps the limits on spheres of competence, besides the fact that the method of its adoption is a treaty violation. Honorable members, to us in Hungary, democracy and freedom are not political questions, but moral questions. You now seek to pass moral judgement and stigmatize a country and a people on the basis of a numerical majority. You are assuming a grave responsibility when – for the first time in the history of the European Union – you seek to exclude a people from decision-making in Europe. You would strip Hungary of its right to represent its own interests within the European family of which it is a member. We have – and will continue to have – disputes: we think differently about Europe’s Christian character, and the role of nations and national cultures; we interpret the essence and mission of the family in different ways; and we have diametrically opposed views on migration. If we truly want unity in diversity, then our differences cannot be cause for the stigmatization of any country, or for excluding it from the opportunity of engaging in joint decision-making. We would never sink so low as to silence those with whom we disagree. Honorable President, you also want to exclude a country that made clear decisions in previous elections to the European Parliament: in 2009 a fifty-six percent majority voted for us, and in 2014 that majority was fifty-two percent. Honorable members, ladies and gentlemen, we are the most successful party in the European Parliament. Our socialist and liberal opponents are understandably unhappy with our success, but to take revenge on the Hungarians for not voting for them is unfair and un-European. Furthermore, this report was written by people who are not even aware of basic facts. The report admits that it failed to send a delegation to Hungary, meaning you will be voting without there having been an adequate examination of the facts. The report includes thirty-seven major factual errors; in relation to these, yesterday every MEP received a 108-page document. Honorable members, our union is held together by the fact that disputes are resolved within a regulated framework. On behalf of Hungary, I, too have made compromises and concluded agreements with the Commission on the Media Act, on the justice system, and even on certain passages in the Constitution. This report disregards agreements that were concluded years ago. But if you are free to do this and can disregard agreements at will, then what is the point of coming to an agreement with any European institution in the first place? What you are doing strikes a blow against both the European Union and the principle of constructive dialogue. Honorable members, every nation and Member State has the right to decide on how to organize its life in its own country. We shall defend our borders, and we alone shall decide who we want to live with. We have built a fence and have stopped the entry of hundreds of thousands of illegal immigrants; we have defended Hungary, and we have defended Europe. Today, for the first time in the history of the European Union, we see a community denouncing its own border guards. Honorable President, let us speak plainly: you want to denounce Hungary because the Hungarian people have decided that our homeland will not become an immigrant country. With due respect, but in the strongest possible terms, I reject the threats, the blackmail, the slander, and fraudulent accusations leveled against Hungary and the Hungarian people by the European Parliament’s pro-immigration and pro-migrant forces. 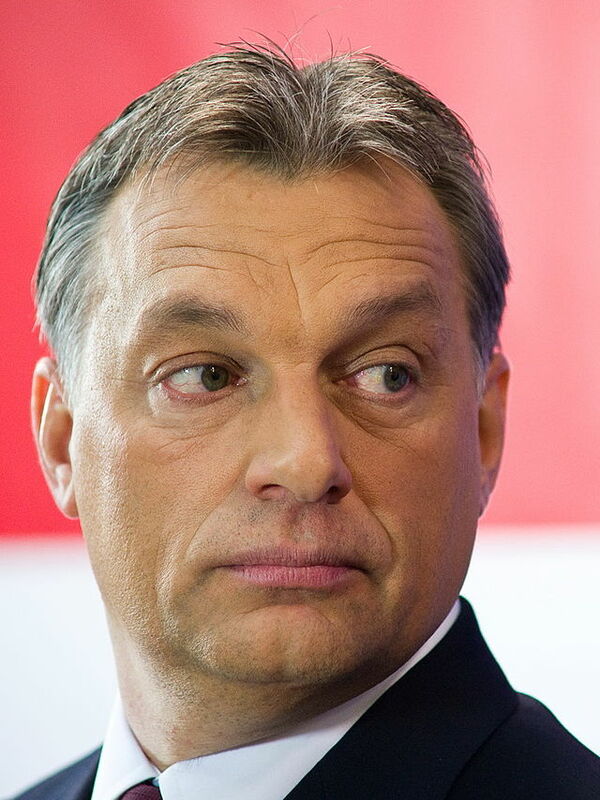 I respectfully inform you that, whatever decision you come to, Hungary shall not bow to blackmail: Hungary shall continue to defend its borders, stop illegal immigration, and defend its rights – against you, too, if necessary. We Hungarians stand ready for the elections next May, when the people will finally have the chance to decide the future of Europe, and will have the opportunity to restore democracy to European politics.